I support Amnesty International with a monthly direct debit because collectively we can all be very loud about injustice and my voice alone is not enough. 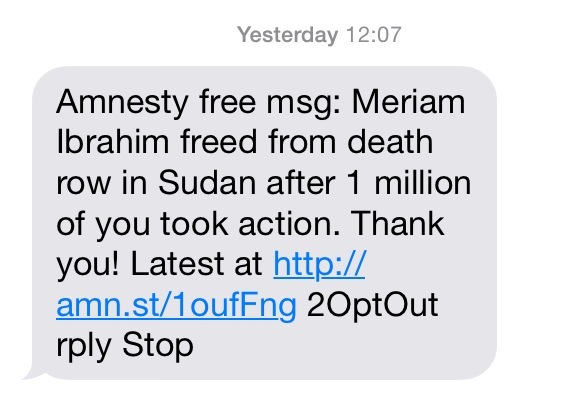 Amnesty is brilliant at keeping you informed throughout their campaigns. They also make it easy for me to share their campaigns with my friends. Best of all, they tell me outcomes of campaigns when they happen. I don’t have to wait for a weekly or monthly newsletter or go to their Facebook page. 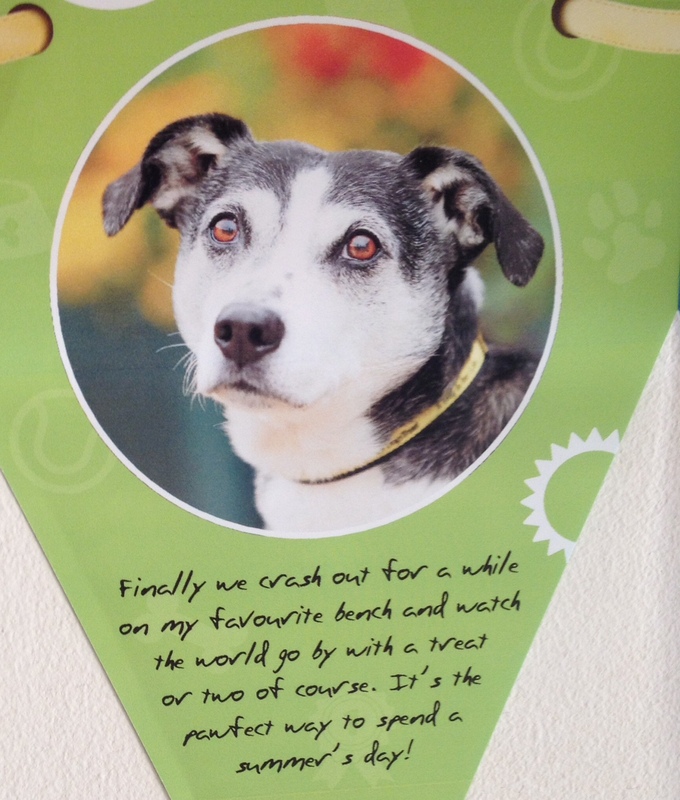 I sponsor a dog through Dogs Trust (it was a birthday present for my husband) and have done for about seven years. We both love dogs but we can’t have one of our own just yet so we do the next best thing and sponsor one. Our dog’s name is Shane and he is lovely. He also writes to us and sends us photos. We can even go and visit him if we like. The reason why we support Dogs Trust and why when we can have a dog we will go to our nearest rehoming centre is because they never put a healthy dog down. The final charity I support every month is Child’s i. Answering why for this charity is harder to explain. I have no personal connection to the cause but when I first heard their founder Lucy Buck speak, I just knew I had to help. The passion and conviction with which Lucy spoke, the stories she told of how the babies that had come to Malaika (the short term emergency care home in Uganda that they provide), how babies had thrived, how they had either been reunited with their families through the support of the charity or gone on to be placed with new, loving families – how could that not inspire me to want to help? And telling stories through video, email or even their Direct Debit text message is what they do so well. They are not a big charity with a big budget so they make use of what they have. In fact, they are so brilliant at digital that they often present at sector conferences and events. They are a true lesson for fundraisers – be passionate about the cause you work for and tell your stories well. In fact, they inspired me so much that I started #100forChildsi and I hope this post has inspired you to join our team. So that’s who I support and why. Will you share with me the charities you support in the comments? I support Comic Relief each year through team honk – an group of bloggers who raise money after seeing first hand what their work does in Africa. Action Aid, because I like how they work. Amnesty I have had a DD for ages. 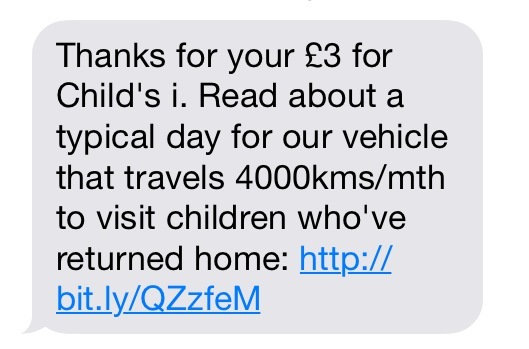 Macmillian are amazing, i often want to do more for them having benefitted first hand when my Mum was ill. Thanks for your comment Penny – I always keep an eye on Team Honk when it’s Comic Relief time. Great job you do too. Am sure all the charities are super grateful for your support.